Can you believe it’s almost St. Patricks Day? I thought everyone might be looking for a bit of Irish food. I just love a reuban sandwich, stacked high with corned beef, all warn and gooey from the cheese, and dressing. Oh yes a true delight for ones taste buds. I found this yummy recipe at Grandmothers Kitchen; and if you see any Leprechauns please send them my way I could use some of their gold. 1/4 cup thousand island dressing (opt). Put the corned beef and swiss cheese on one piece of bread. Heap on sauerkraut, spread dressing over sauerkraut. Top with the 2nd piece of bread. Melt butter in skillet or on griddle over medium heat. Cook for about 4 minutes grilling the sandwich on both sides. 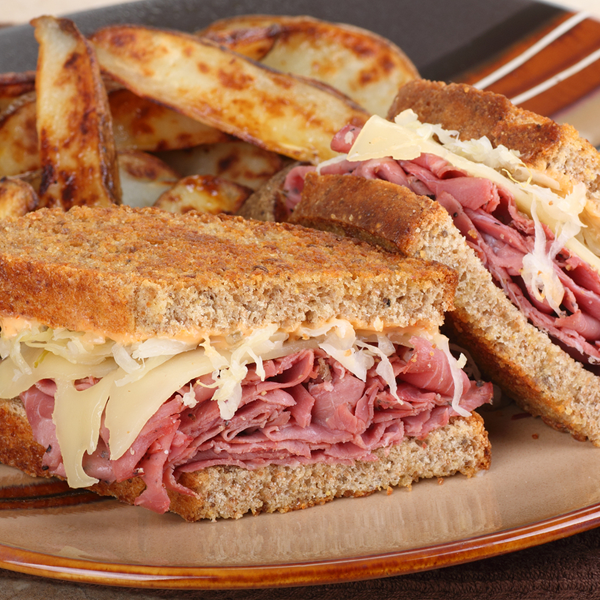 Original Reuben Sandwich Recipe found at Grandmothers Kitchen Recipes. Pinterest board loaded with ideas.